Current monographs are shelved in the K shelf mark sequence. C1 in the third line of the shelf mark indicates where the work is about Canadian law. 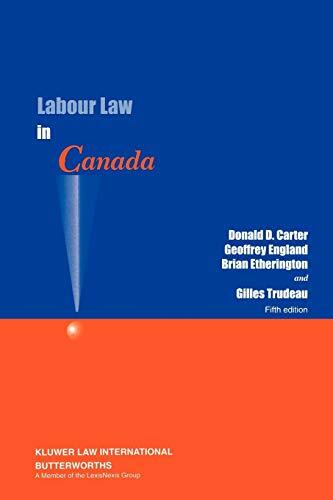 Labour law in Canada by HW Arthurs et al. Database maintained by federal Department of Justice of consolidated Acts and regulations "generally updated on a weekly basis." Official website of Canadian government agency working "to improve the standard of living and quality of life for all Canadians. ... by promoting a labour force that is highly skilled. ... [and] an efficient and inclusive labour market."